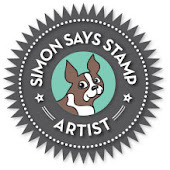 I have 3 cards to share with you today, my DT card and also a couple of quick cards created with Simon Says Stamp card kits. 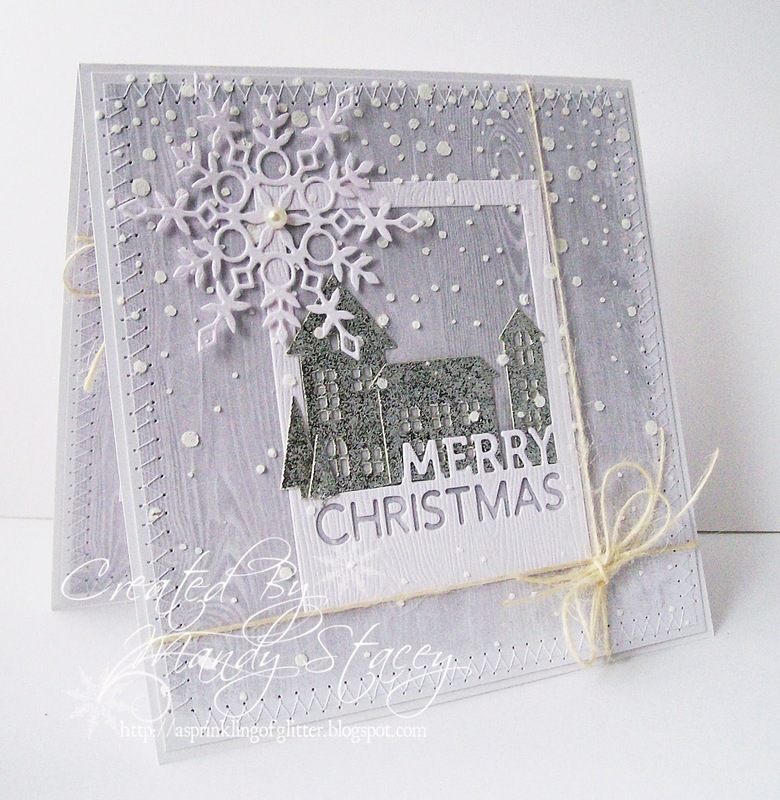 This week I am featuring Stampendous Snowy Postcard & Frantage Embossing Enameling Kit. This wasn't the card I had planned to share for today's challenge as I had chosen a Stampendous House Mouse stamp and coloured it before I checked if it was available but it had disappeared from the store, & as I didn't have time to colour another image I dug out this Snowy Postcard image to use. I have stamped it using Simon's Fog Gray ink as I wanted a soft and shabby look and both the stamp & ink are beautiful but I hadn't thought about how well it would or wouldn't photograph especially in a shaker, & boy has it been a pest to take a half decent picture of! All in all I've not had the best week with my card lol. I die cut the pretty poinsettia's and blended Spun Sugar distress ink over all of the die cuts pieces & on the largest Tattered Poinsettia I added Shabby Pink Frantage and heat set it, & on the two smaller Simon Says Stamp Poinsettia Parade flowers I have added lots of lovely sparkle using my Tonic Nuvo glue pen & Nuvo Snow Glow Sparkle Dust. I also die cut some Holly leaves using Simon's Holly Collage die and blended Pumice Stone distress ink over them and added the leaves to my flowers. I also heat embossed Simon Says Stamps Christmas Sweater Background stamp in white embossing powder and then blended Pumice Stone distress ink over it before die cutting a rectangle panel using Simon's Bundle Of Stitched Shapes dies out of to create an overlay for my card. Simon Says Stamp Winter Snow die, Penny Black Snowflake Duo, Elizabeth Craft Designs double sided tape, Elizabeth Craft Designs Soft Finish Card Stock, Tonic Guillotine, Acrylic Blocks, Nuvo Simply White Crystal Drops, stamping tool, 28 Lilac Lane Marshmallow sequins, Prima glass beads, Judikins embossable window plastic sheets, Cuttlebug, May Arts twine, Simon Says Stamp clear embossing ink pad. 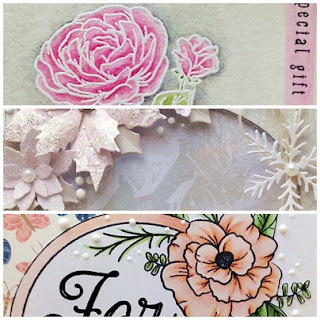 My next cards were created using Simon Says Stamps August card kit called Mandy's Flowers. The kit sold out but the individual products are available to buy in store and are listed in the kits content list. On my first card I thought I would have a play with some Daniel Smith watercolours using Debby's palette which is a perfect starting point to try out these watercolors before spending out lots of money on individual tubes. Even me who is not a huge lover of, or the best at water colouring have found these lovely to work with & I will be buying more. Supplies used - Monthly card kit, Canson Water colour paper, Hero Arts pearl. My last card today has again been created using some of the contents of Simon's August card kit as so quick & easy I surprised myself as I usually fiddle & debate if I have done enough but I actually just left it alone after adding some Crystal Drops. I remembered after I had finished that there is the cutest, dinky bottle of Bubblegum Crystal Drops included in the kit which I could have used, I think it's just habit reaching for the Simply White Crystal Drops. 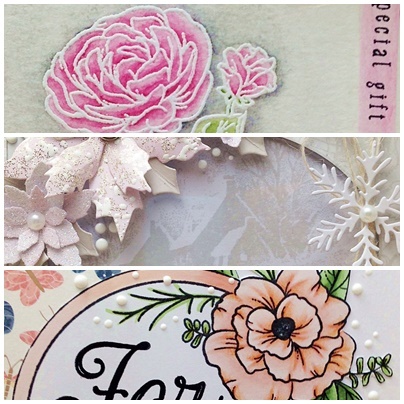 Just quickly before I go it's very nearly the best month in the paper crafting world! oh WOW!! what a gorgeous set of cards Mandy!! the Christmas scene is so pretty, I love the soft shades and the whole scene you creates, beautiful!! 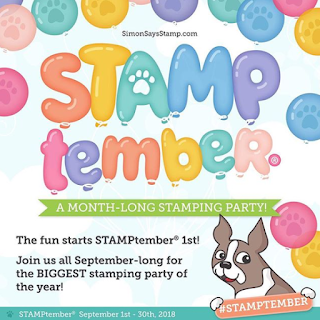 You used one of my favorite Stampendous stamps, Mandy, and embellished it beautifully! Gorgeous! All three are fabulous!! I love the watercolored rose! On the last card your drops look amazing! I love the varied sizes! Your first card is such a lovely vintage look! Mandy these are gorgeous! The soft colors make me smile! Beautiful cards!